Ai Yoshihara is a hilarious performer who delightfully and joyfully bulldozes over the language barrier. She was fearless in her performance and demonstrated that despite any obstacles, she would prevail. I loved her performance, her story, and the clever and simple props and gags that added so much to the whole experience. The prerecorded dream sequence piece with Old River Phoenix could have used a smoother transition, but still was very funny! The lighting for it was great! Outstanding! Absolutely genuine. Continuously engaging. Ai Yoshihara brings us along on a real emotional rollercoaster as she shares with us her heartfelt and hilarious stories of her Americanization and her struggles with her traditional Japanese family and culture. 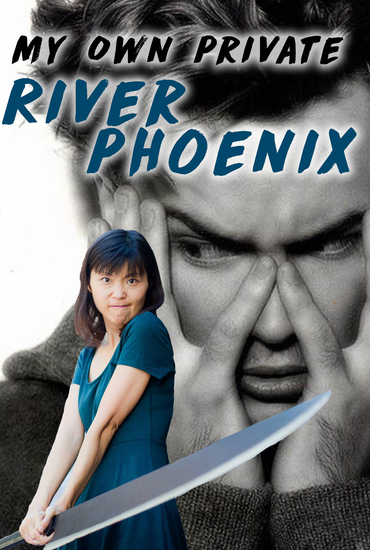 Her story is one of tragedy and perseverance through her love our Hollywood heartthrob, River Phoenix.